Are you a bourbon drinker who wants something different—but not too different? Pick up a bottle of rye. 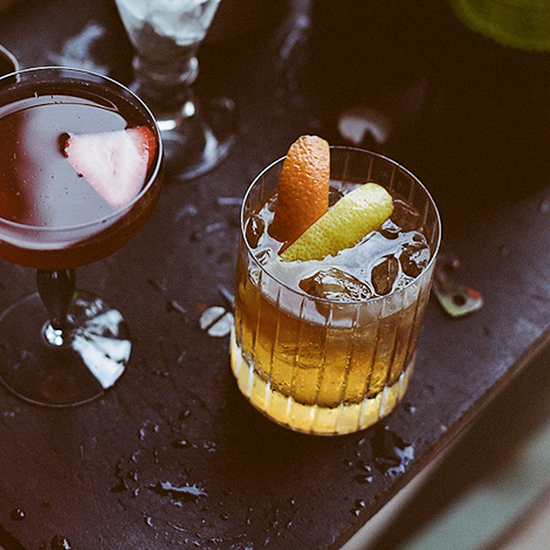 Are you a bourbon drinker who wants something different—but not too different? Pick up a bottle of rye. Drier-tasting than bourbon but with the same fall-friendly richness, rye whiskey is a great way to revitalize your drinking repertoire. Here, seven cocktails to make with rye. For this warm, boozy nightcap, spiced chai tea is spiked with whiskey. This take on an Old-Fashioned is sweetened with maple syrup. Manuka honey, from the New Zealand manuka bush, sweetens this sour-style drink. This tangy, creamy cocktail is shaken with an egg white for a deliciously foamy head. The Jack Rose (applejack, lime juice and grenadine) is one of mixologist John Coltharp’s favorite brandy drinks. This cocktail is his attempt to convert it into a whiskey cocktail.